At home I have a fruit bowl and in that fruit bowl goes not only fruit but all the scraps of paper on which I’ve written tasting notes. I do also have a tasting notebook but today the fruit bowl is closer and so, in what is best described as a lucky dip, I pulled out a pile of tasting notes that I’d written on wines I’d used in a WSET course. The notes are dated 19 August. That’s not 10 days ago – that’s 375 days ago. I’m sure that gives you some kind of insight into me … not entirely sure what it says though! As a rule, I am not a fan of New Zealand Sauvignon Blanc. Not because I have an issue with them, per se, but they’ve become such a lazy choice for a certain type of drinker. I’ve actually been out with people who look somewhat crestfallen when there isn’t a NZ Sav Blanc on a wine list. Similarly, I hate that so often wine lists overlook good, local examples and yet feature a raft of second string NZ wines. Little rant over. I am a massive fan of Greywacke. My first introduction to the brand was the Riesling (one seriously exciting wine there) and, as one of the required wines to teach at Level 2 is a New Zealand Sauvignon Blanc, this has become very much my go to wine. 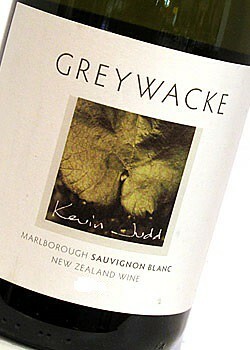 Greywacke is run by Kevin Judd, a nice bloke, who also happens to be ex Cloudy Bay. He should know what he’s doing with Sauvignon Blanc. And he does. While these notes aren’t on the current release, the few vintages I’ve tried have been pretty consistent of wines, so the following will give you an idea of what you will get, even if not an exact match. The wine is usually well received (and well liked) in class too. In the glass the wine is very pale yellow. So pale that it’s almost water white. As you’d expect with a Sauvignon Blanc, the nose is pronounced with pungent green pea and passionfruit, with hints of green capsicum, gooseberry and even a touch of the obligatory cat’s pee. In the mouth, good acidity backs up a palate which shows a lot more tropical fruit. The passionfruit is definitely there, much more pronounced than on the nose and there’s just a whisper of green capsicum. Good length. The current available release in Adelaide appears to be the 2012 which you will be able to pick up for around $25-$30 from good bottle shops such as The Ed Cellars and East End Cellars. Greywacke also produces a Wild Ferment Sauvignon Blanc which is slightly more expensive.